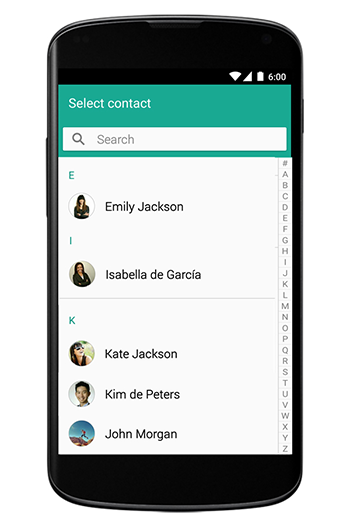 The feature is a powerful tool which allows you to interact with your contacts more quickly and efficiently. 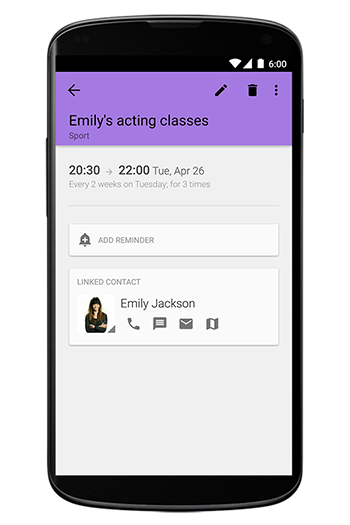 The functionality may sound similar to the attendee feature, but - contrary to the latter one - this tool does not require a synchronized calendar to work properly. 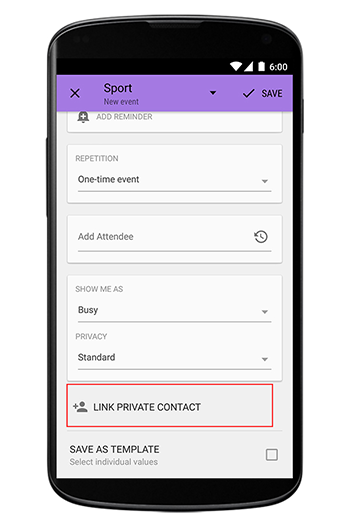 With the Link private contact feature you add a person from your contacts to your event. After saving the event, your can take various actions on the basis of the contact and its information like for example send sms/email/whatsapp to that person, call him/her, find the address etc. How to Link a Private Contact? 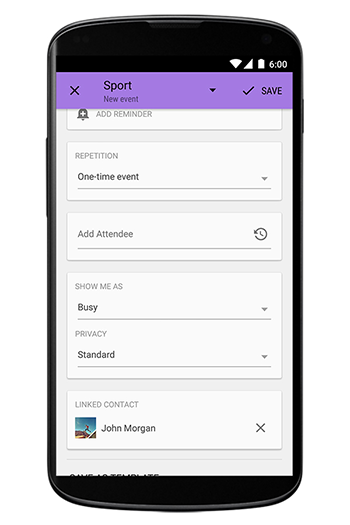 You can add the contact to your events in the event Create & Edit View (aka event input mask). You will find the feature almost at the bottom of the view. Choose one contact to link it with your event and save changes. This contact will be mentioned in the event detail screen and you can to interact with the linked person directly form the view i.e. you can start a phone call, send an sms or email etc. 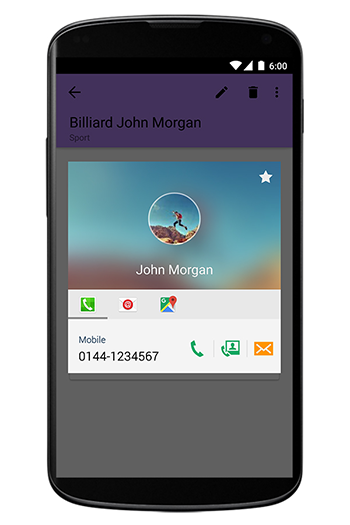 Hint: If you click on the contact photo you will get to see all the possibilities to interact with the contact. Please note, that you can also decide what information should be read out from the contact information and be inserted automatically in the event details. 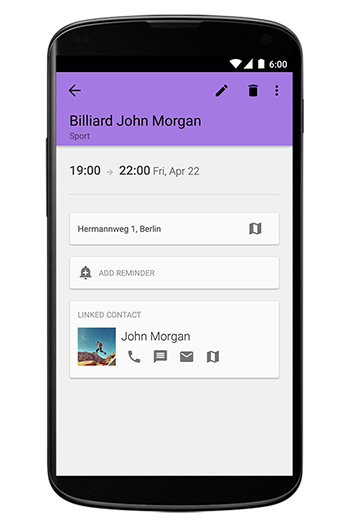 You can choose between contact name, location, name and location or decide not to insert anything. 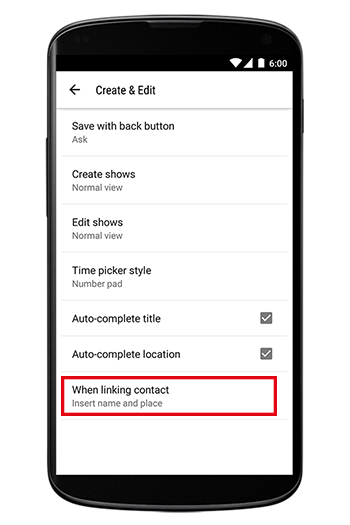 You can set it up in the BC 2 Settings → Create & Edit → When linking contact.